Smart meters are being introduced by a “network of actors” that I refer to as technocrats. 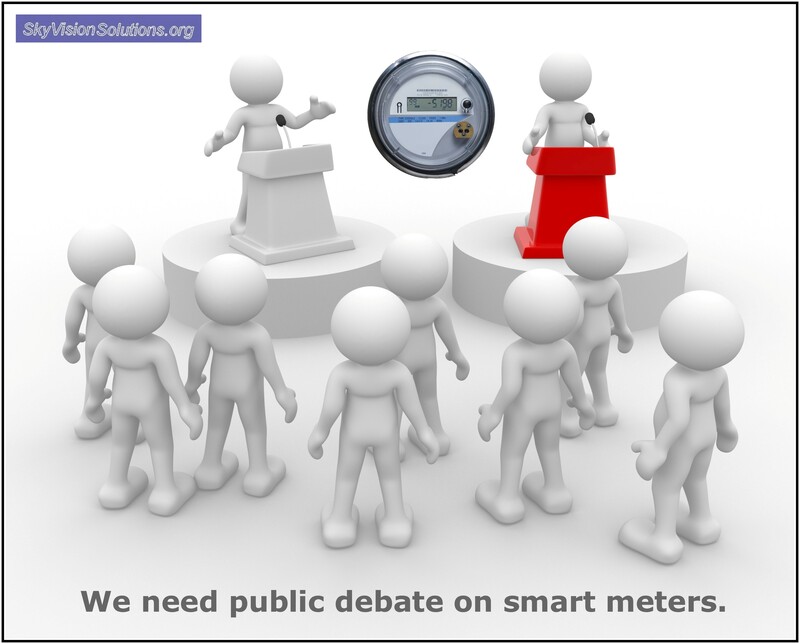 These technocrats believe that the decision-making process related to smart meter deployments should be left to the experts and not be opened to public debate. The underlying and primary reason for smart meters being deployed is to facilitate the reduction in energy consumption by consumers. Consumers are viewed by the technocrats as “economic actors” with “knowledge, engagement, and moral deficits.” To compensate for these deficits, schemes are devised such as “dynamic pricing” as well as the promotion of home automation products and services. Smart meter deployments result in a conflict between what is perceived as being necessary for the “public good” by the technocrats versus individual autonomy for the consumers and citizens. Rather than treating the consumers as deficit burdened subjects requiring behavioral modification, consider them as citizens with legitimate rights and concerns. Technocrats should consider interaction with concerned consumers and citizens as an opportunity to create a modernized electric grid that has both a high level of public acceptance and resiliency. Who Envisioned the Smart Grid? I have sometimes referred to the above “network of actors” as technocrats  . In this instance, they consist of a combination of technical professionals and executives from the energy industry and related corporations and associations, technical experts from research organizations, bureaucrats from regulatory authorities, and powerful politicians. These are people with technical backgrounds and economic interests and who have the power over the purse and the power to make or influence public policy decisions. Why Were Smart Meters Envisioned for Deployment? Now that we have broadly defined who envisioned the smart grid, why specifically are smart meters being deployed as part of that vision? I have previously discussed in articles at this website of how the envisioned smart grid enables huge financial profits for corporations, government sanctioned surveillance, and consumer behavioral control mechanisms    . The underlying and primary reason for smart meters being deployed, at least in the developed world, is to facilitate the reduction in energy consumption by consumers. Note: In developing countries, smart meter deployments have primarily been aimed at combating lost revenues due to illegal connections, unbilled consumption, and non-payment, which in some areas, losses can approach 50% [10 ]. There are ancillary reasons that can be discussed as to why it might make sense to have smart meters deployed, but there is no evidence that the current rapid deployments being promoted globally would otherwise be occurring. For example, smart meters eliminate the need for manual meter reading personnel and thus create an immediate benefit for the utility in terms of reduced labor costs. But that is not why they are being deployed since those costs savings can in no way financially justify the huge investments that accompany smart meter deployments. In short, there must be an overarching public policy goal to “justify” broad-based smart meter deployments as they cannot be justified by an objective business case analysis. One can argue whether or not implementation of smart meters would actually lead to a reduction in overall energy consumption and whether it is even necessary to reduce consumption. I have previously provided substantial evidence that smart meters are not effective at reducing energy consumption      . In any case, that is somewhat beyond the scope of this particular article. The important point here is that the technocrats believe that universal smart meter deployments will lead to a reduction in energy consumption and help meet sustainability goals. Technocrats know that it is not good public relations to just tell people to reduce consumption and that you will be penalized if you don’t, but the message is clear. I will present a number of quotations from published literature to demonstrate there is little doubt on the primary objective for smart meter deployments. How Do the Smart Grid Technocrats View Consumers? As stated in the previous section, the smart grid visionaries believe that smart meters will lead consumers to reduce energy consumption. Why is that? Consumer behavior is basically forecasted to follow specific economic models, one primary example being simply called that of a “rational actor”   . As rational actors, consumers, when given additional and detailed information about their energy consumption, are expected to conscientiously and thoughtfully use this information to find ways to better manage their energy bills and reduce energy consumption. Automation of the home and encouragement for consumers to purchase “smart appliances” that can be controlled remotely. Regarding “consumer flexibility,” there thus appears to be a clear disconnect between a world imagined by technocrats and the real world for what is actually achievable. Consumers have a central role in the envisioned smart grid, yet there is little to no public debate that involves them. At least the mention of TOU pricing and remote operation of appliances immediately exposes the heart of the controversy surrounding the technocrats’ objective to facilitate the reduction of energy usage by consumers. That is, part of the controversy is about who will really benefit from these energy reductions and will smart meters actually accomplish the desired reductions in the most efficient manner, assuming that such reductions are even necessary. Certainly to many consumers, it appears that the corporations will simply profit and “benefit” at the expense of the consumer. What Hess proposes sounds reasonable but, of course, requires that the technocrats listen and act on the concerns expressed by consumers. It requires that the smart grid proponents be more transparent about their true motives and methods and welcome a public debate on the consumer-related issues of costs, health, privacy and control over property and appliances, fire hazards, and cyber threats. Who envisioned the smart grid and the introduction of smart meters. Smart meters are envisioned to be universally deployed to all homes by a “network of actors” that I refer to as technocrats. Why smart meters were envisioned for deployment. The underlying and primary reason for deployment is to facilitate a reduction in energy consumption by consumers. All other reasons are ancillary, and it can be argued that other possible reasons for using smart meter technology can be more efficiently accomplished through other means. How the smart grid technocrats view consumers. Consumers are viewed ideally as “rational actors” who should sense a moral obligation to meet sustainability goals and take individual actions to help fight climate change by reviewing smart meter data and reducing their energy usage accordingly. Realizing this consumer expectation is at least somewhat flawed, technocrats in practice consider the consumers as burdened with “knowledge, engagement, and moral deficits.” Technocrats implement dynamic pricing and encourage home automation in order to compensate for perceived consumer deficits. Lack of transparency and consideration for consumer interests. Even though the consumer is key to the success of smart meter deployments meeting the objectives as set by the technocrats, they downplay consumer concerns and instead insist on “consumer flexibility.” This condition therefore exhibits a lack of democratic legitimacy which fully justifies increased public opposition to smart meters. Need for public debate and adjustment of smart grid design in order to finally consider consumer interests and rights. In line with the sentiment and analysis provided by the Hess article , rather than treating the consumers as deficit burdened subjects requiring behavioral modification, consider them as citizens with legitimate rights and concerns. Smart grid proponents and technocrats should consider interaction with concerned citizens and consumers as an opportunity to create a modernized electric grid that has both a high level of public acceptance and resiliency. My reference to technocrats in this context relates to those who could either be technical experts or have managerial or administrative roles. What they have in common is making decisions solely based upon technical information or belief in what is best for the “public good.” These decisions can be made in a way that disregards majority public opinion and individual rights. Although the word technocrat may refer to one who is an adherent of technocracy, it is not my desire to narrowly define it as such here. Put in another way, for purpose’s of this article, just think of a “technocrat” as a technically oriented bureaucrat who desires to micromanage your life based upon his or her perspective of what will best serve the public good. This technocrat may also be motivated by financial profit which creates an inherent conflict of interest as compared to what might actually be in the public interest. I previously wrote an article summarizing the content of a recent book, Technocracy Rising: The Trojan Horse of Global Transformation, which describes how, in part, the smart grid can be explained as being a result of the actions of adherents to technocracy and where a new, post-capitalist “green economy” is being created that is based on energy production and consumption. A technocracy, as envisioned, is a “scientific society” that cannot be run successfully without comprehensive monitoring and control of all aspects of society and the members within that society. Although what is described in this article is quite consistent with what would be expected in a world headed towards technocracy, I perceive less direct linkage to such organizations as the Trilateral Commission which is normally the focus when writing about technocracy and its origins. From my perspective and from a sociological point of view, the technological and societal changes that are occurring can more easily explained as the natural result of what is referred to as “sociotechnical imaginaries” and an “epistemic community” as referenced in the Norway article from  and as originally described by Haas . When Old Technologies Were New: Thinking About Electric Communication in the Late Nineteenth Century, by Carolyn Marvin, Oxford University Press; Reprint edition (May 24, 1990). The “rational actor” reference is an economic theory more formally called “the homo economicus ideal,” whereby the consumer seeks to attain very specific and predetermined goals to the greatest extent with the least possible cost. Note that this kind of “rationality” does not say that the individual’s actual goals are “rational” in some larger ethical, social, or human sense, only that he tries to attain them at minimal cost  . This entry was posted in Smart Grid, Smart Meters, and RF Emissions and tagged Costs, Government Waste, Public Debate, Smart Grid, Smart Meters, Sustainability, Technocrats, Transparency. Bookmark the permalink. Another wonderful article and the lack of transparency or public debate as described fits perfectly what has happened in British Columbia. 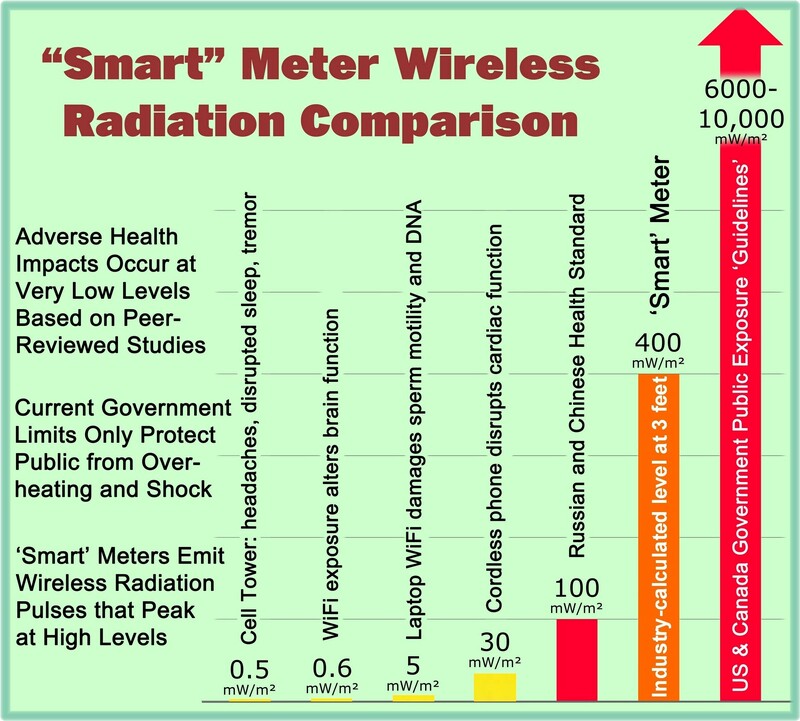 The program was mandated and begun with no information having been given to the public in hopes, I believe, that the smart meters would be on our homes before we knew what had happened. The government and the utility failed to perform due diligence, leading to a program that is not only dangerous and invasive but horribly expensive, with no end in sight. This article needs to be circulated widely so that those who are just beginning to suffer the consequences of this technology can become educated and, hopefully, will join with us to regain control over our homes. The governments of North America have decided for us what we will eat, what we will use as drugs and what other dangerous things we will be exposed to. That’s the truth of the matter. I just read the entire article. It is so well written … Your article is in the same league as the recent one titled FCC: A Captured Agency. This is an extremely well written article and very informative! Thank you! Thanks. I had a question on Facebook about this article that I interpreted as someone saying that people normally do get to a chance to have their input at public meetings before smart meters are implemented. My general response was that this article addresses having true transparency (not spin) and public debate on the issues, not just be provided 3 minutes to get your comments on record at a public meeting as a formality. Actually in Naperville for scheduled hearings a couple of years ago on smart grid, the City used legal gymnastics to bar the local smart meter awareness group from acting as an intervenor; I wrote a review of that maneuver as clearly illegal, but the City is in charge; they wanted no debate. They did the same to not allow a City referendum for installing smart meters. 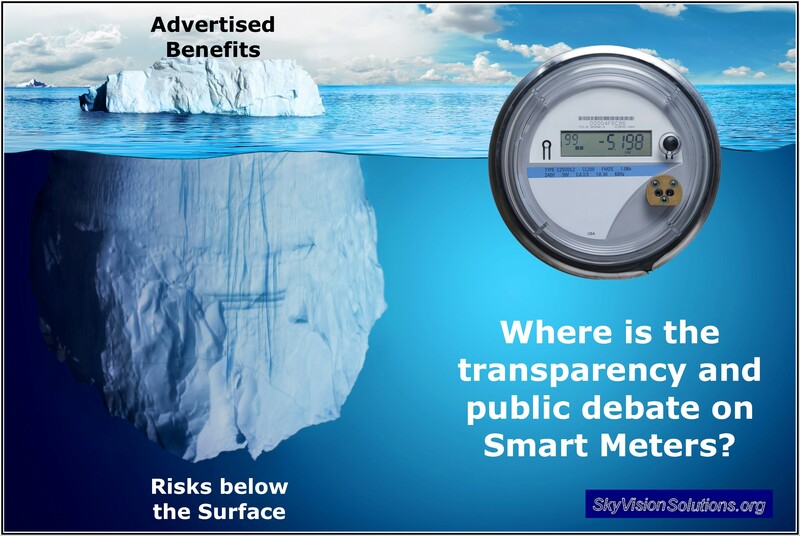 So no, there has not yet been transparency or public debate on the many issues that exist related to smart meters. And having an opt-out, particularly with a fee, is also not addressing the issues, just an attempt to get people to shut up and avoid the real debate. You are so right about this! Outstanding post.